This is a study conducted to study how the random numbers generated independently are correlated to each other. 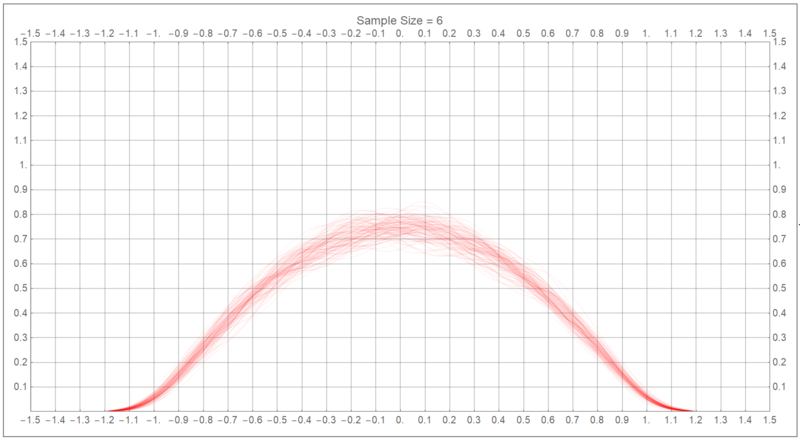 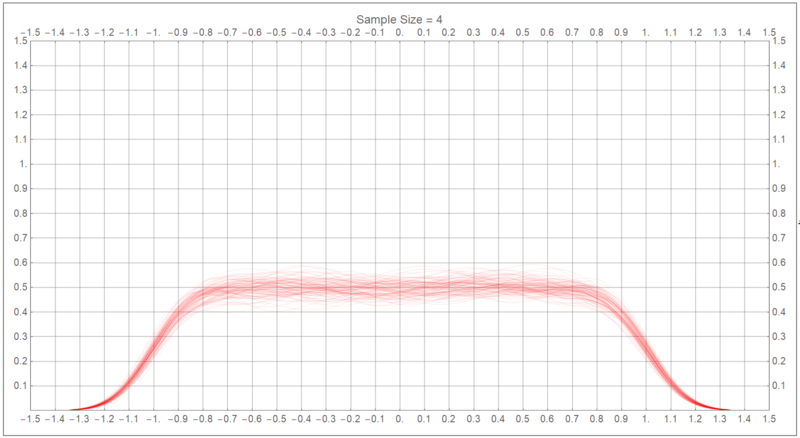 Since the expected correlation is 0, the behavior unfolds as we increase the sizes of the individual samples. 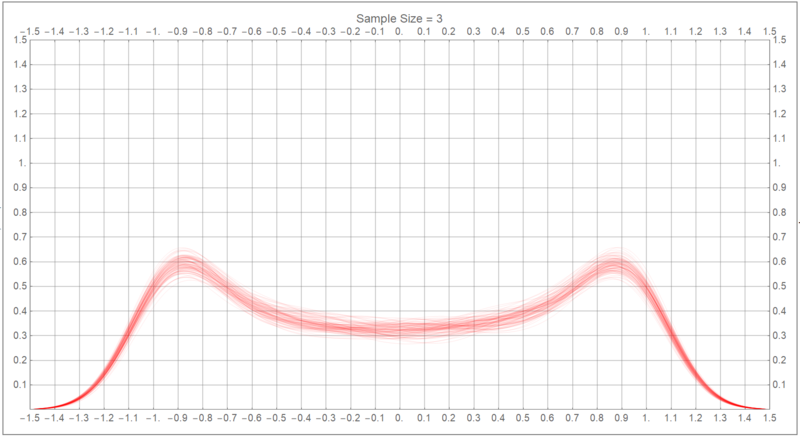 Each of the following charts contains several smooth histograms overlapped. 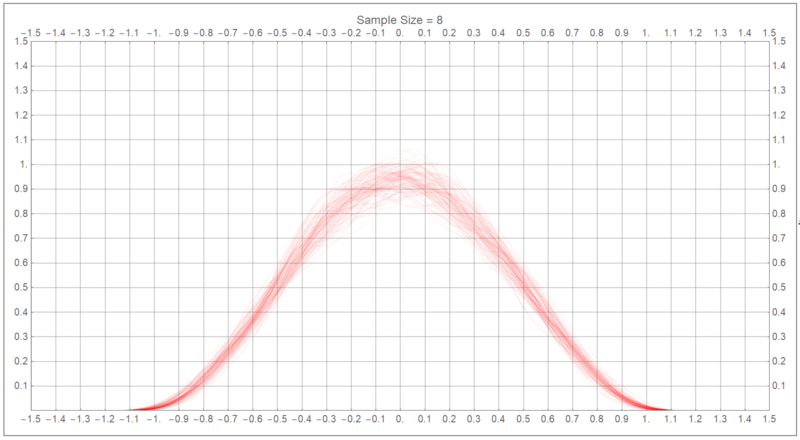 Each of the smooth curve (i.e., the smooth histogram) is made from 1000 correlations. 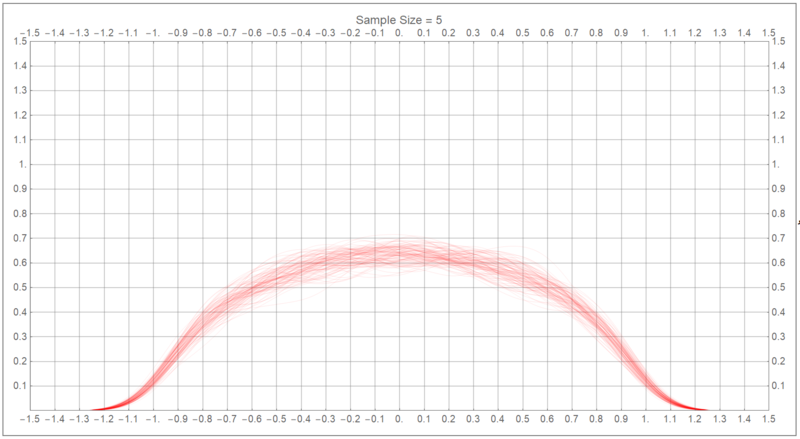 Each correlation is calculated between two samples and the sizes of the samples are indicated above the chart. 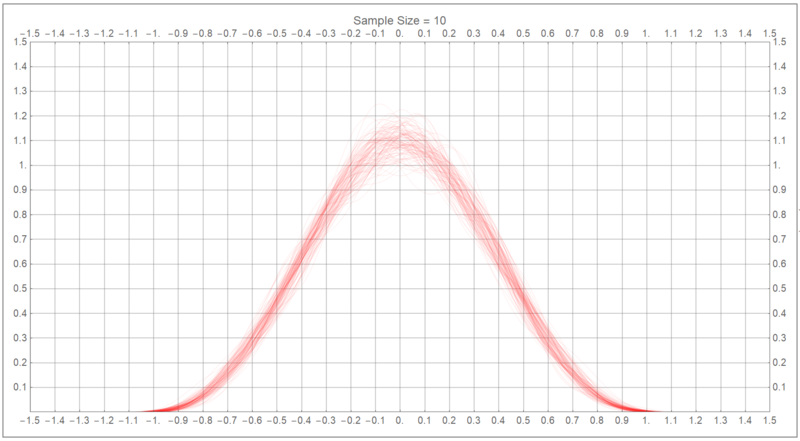 For the plots, I have used the univariate uniform distributions but you could try that with any combinations of other types of variables. 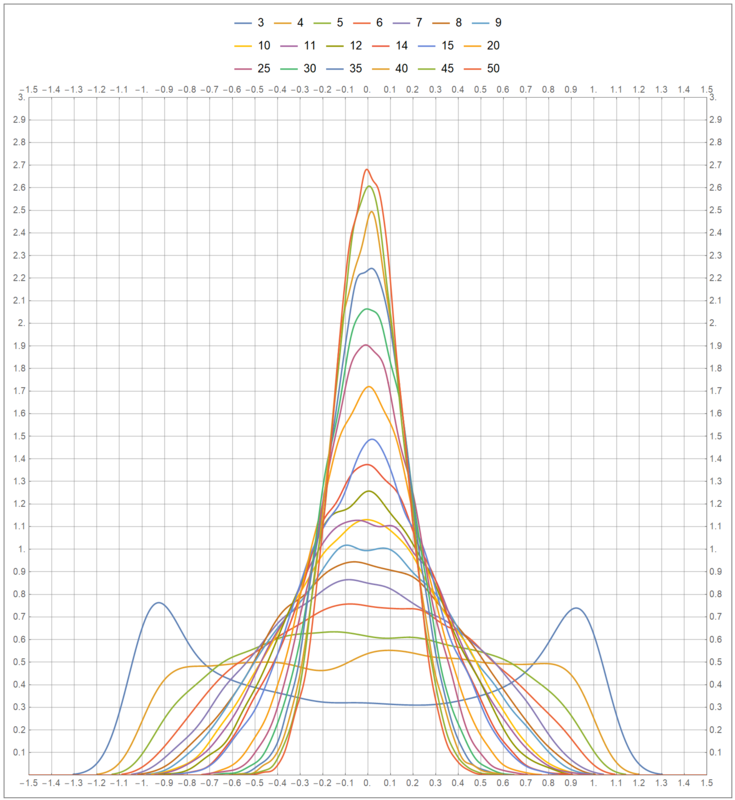 You could use the code below for the exercises.